Aims: To provide an overview of: demographic characteristics; experiences with growing cannabis; methods and scale of growing operations; reasons for growing; personal use of cannabis and other drugs; participation in cannabis and other drug markets; contacts with the criminal justice system for respondents to an online survey about cannabis cultivation drawn from eleven countries (N=6530). Important similarities and differences between the national samples recruited will be discussed. Method: This paper utilizes data from the online web survey of predominantly ‘small-scale’ cannabis cultivators in eleven countries conducted by the Global Cannabis Cultivation Research Consortium (GCCRC). Here we focus primarily on descriptive statistics to highlight key similarities and differences across the different national samples. 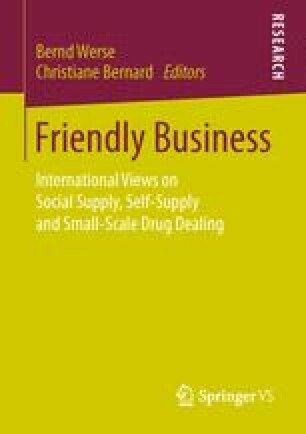 Findings: Overall there was a great deal of similarity across countries in terms of: demographic characteristics; experiences with growing cannabis; methods and scale of growing operations; reasons for growing; use of cannabis and other drugs; participation in cannabis and other drug markets, and contacts with the criminal justice system. In particular, we can recognise that a clear majority of those small-scale cannabis cultivators who responded to our survey is primarily motivated for reasons other than making money from cannabis supply and have minimal involvement in drug dealing or other criminal activities. These growers generally come from ‘normal’ rather than ‘deviant’ backgrounds. Some differences do exist between the samples drawn from different countries suggesting that local factors (political, geographical, cultural etc.) may have some influence on how small-scale cultivators operate, although differences in recruitment strategies in different countries may also account for some differences observed. Reprinted from The International Journal of Drug Policy, Vol. 26, no. 3 (March 2015), pp. 226-237, Copyright 2015, with kind permission from Elsevier. Minor formal changes have been made regarding (cross) references. Jansen, A. (2002): The economics of cannabis-cultivation in Europe. Paper presented at the 2nd European Conference on Drug Trafficking and Law Enforcement. Paris, 26th and 27th September, 2002. Available at http://www.cedro-uva.org/lib/jansen.economics.html. [accessed: 15th April 2014].